The metal-clad building had significant flames coming from it when crews arrived. Photo courtesy the Long Beach Fire Department. 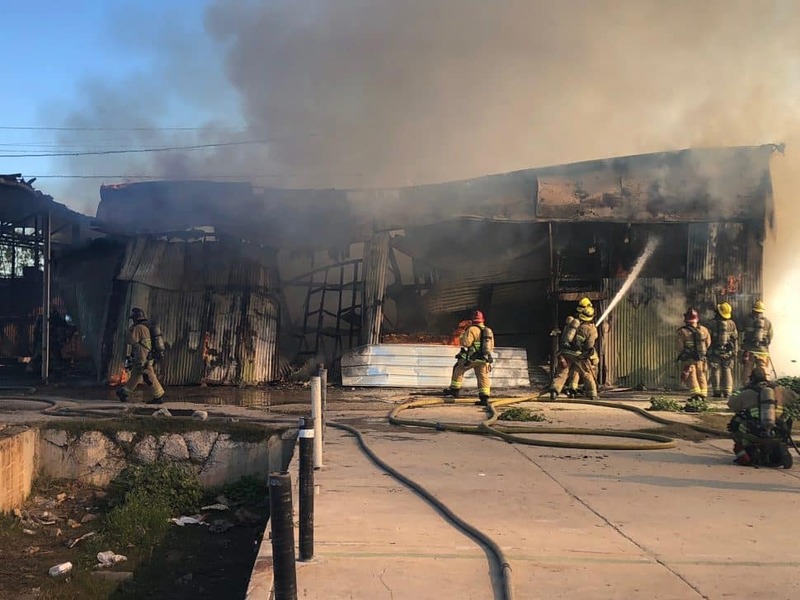 Firefighters quickly handled a second-alarm fire that charred most of an abandoned commercial building in West Long Beach Thursday afternoon. Nobody was hurt in the blaze, which sparked around 1 p.m. 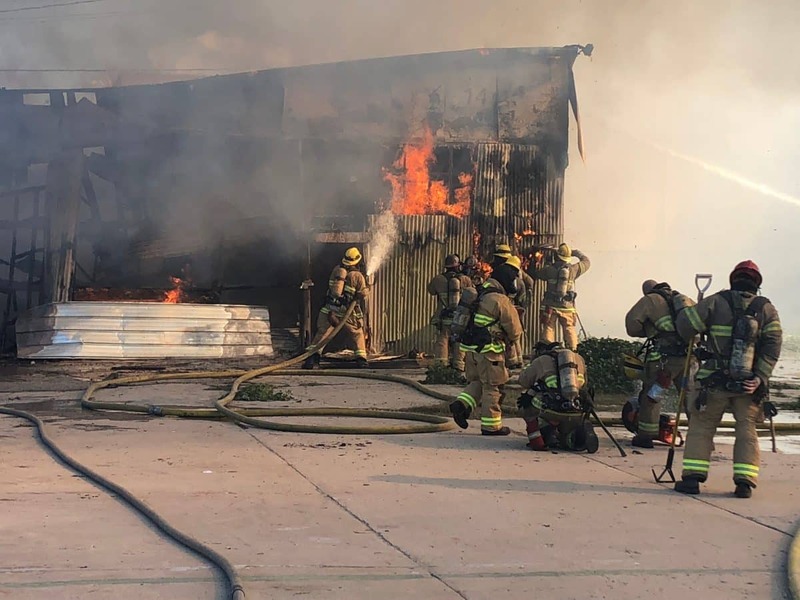 Firefighters quickly headed to the blaze and found the metal-clad structure “fully involved” in fire when units arrived on scene, Long Beach Fire Department spokesman Brian Fisk said. Crews had the fire out quickly, but it did significant damage to the structure. Photo courtesy the Long Beach Fire Department. After calling in more units, they quickly extinguished the blaze. Crews are still investigating what caused the fire, which briefly sent a large column of black smoke billowing into the air where it was visible from Downtown. 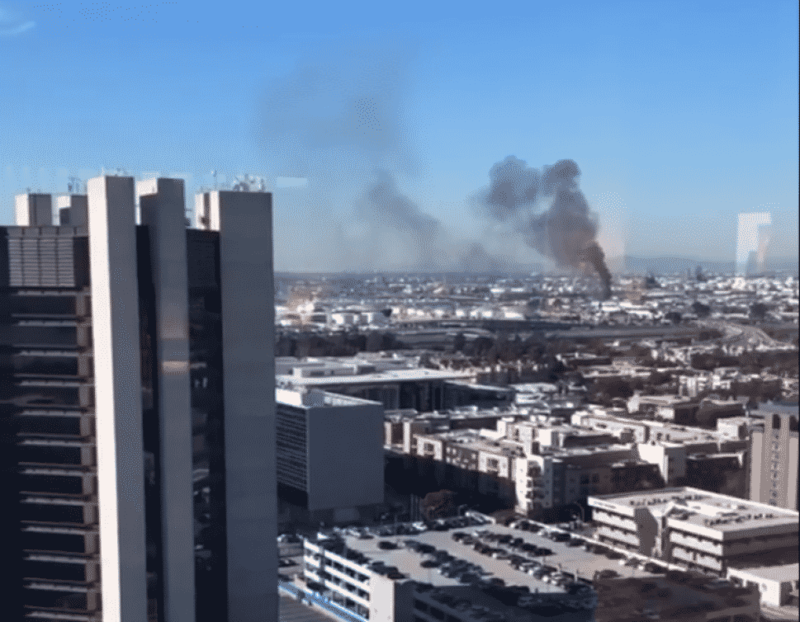 A fire, seen from Downtown, burned a building in West Long Beach Thursday around 1 p.m., sending smoke billowing into the air. Photo courtesy of Sydney Richardson.